The Extended Hours Program provides care and activities for children before and after the scheduled camp day. After the stimulating and structured camp day, children ages 4 – 14 can take advantage of all our beautiful campus has to offer. 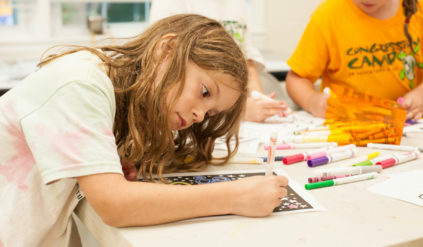 Extended Hours provides a wide variety of choices for campers during their afternoon time. Socializing on the playground, participating in sports activities in the gym, or getting creative with free drawing are some of the many things campers choose to participate in. 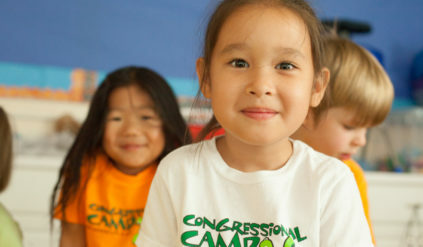 Extended Hours is designed to provide the following opportunities to campers: camper choice; the strengthening of friendships and bonds during structured down-time; groups by interests or desired activities, not specific age ranges; a schedule campers have control over by choosing when to move from activity station to activity station. 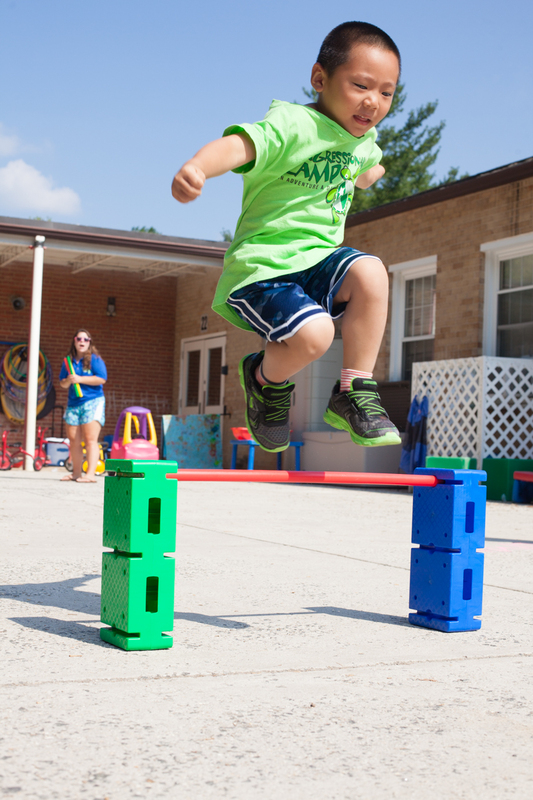 *Campers enrolled in a Great Adventures program (4 years old to rising K) must be picked up prior to 6:00PM.